From afar, 1090 Burger is nothing to write home about. A modest restaurant in Melbourne’s northern suburbs, one could easily mistake 1090 for a run-of-the-mill greasy spoon. Up close, however, it’s a very different story, and one written by the burger gods. 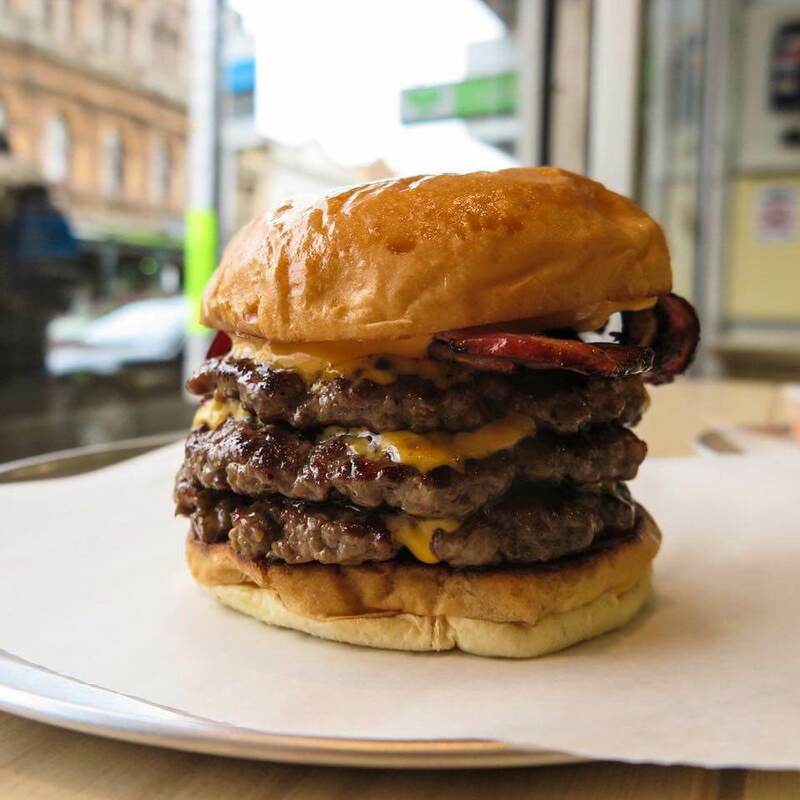 The Triple Thunderburger is 1090’s most popular burger and it’s easy to see why: three grass-fed pure Black Aberdeen Angus beef patties topped with bacon and oozing cheddar cheese. This is the stuff of burger lovers’ dreams. Montmartre’s Raclette Burger is NYC’s worst kept secret. 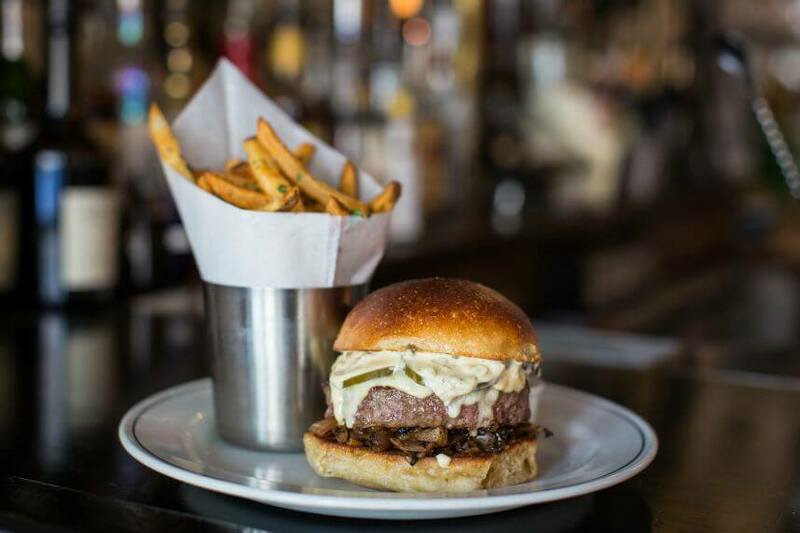 Voted best burger in the city, Montmartre chef Patrick McGrath serves the short rib and chuck patty with grilled onions, pickled cucumbers, Raclette cheese and remoulade. A nod to the French tradition of serving Raclette cheese with potatoes, the potato panino roll from Sullivan Street Bakery tops off this movable French feast. The burgers at Holy Chuck are died-and-gone-to-heaven-good. Seriously. The Raging Bull is comprised of two aged beef patties with double cheese, double smoked maple bacon, fresh sautéed hot peppers fried in Holy Chuck’s homemade chipotle sauce. Head to downtown LA for Poppy + Rose’s uproariously-good Poppy burger. Two quarter-pound patties are bedecked with house coleslaw, bacon, caramelised onion, cheddar, and – to top it all off – homemade thousand island sauce. A thousand times, yes. Known for having the best burgers on the island, POW is home to the killer Western Bacon Cheeseburger. Dripping with melted cheese, this burger is – as the name suggests – crowned with crispy bacon and served on a seeded bun. Team it up with spiced fries and you’re on to a winner. Easey’s was conceived of one man’s objective to eat every burger he can get his hands on. I like his style. And his burgers, for that matter. 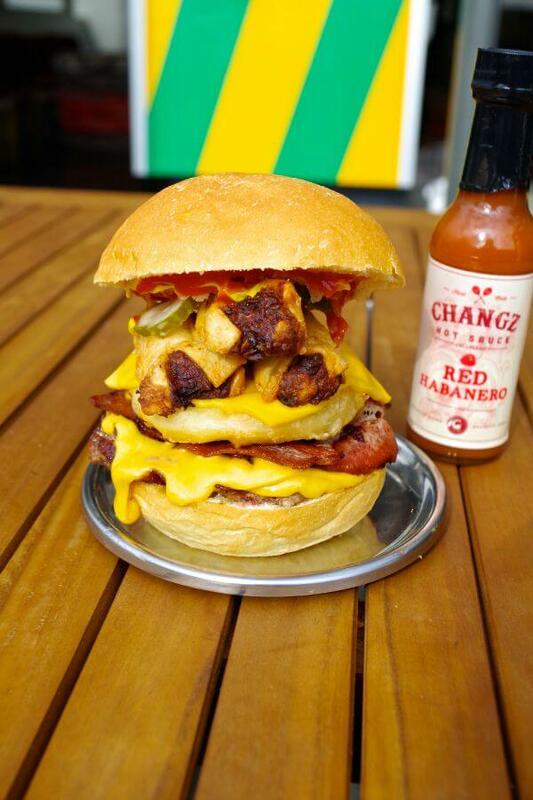 Easey’s Melbourne Madness burger is a firm favourite with customers. The double patty cheeseburger is capped with a helping of bacon, a potato cake and a dim sum. Yum. Considered the best burger in the city of lights, the Le Casti burger can lay claim to being film director Sofia Coppola’s favourite burger. The bragging rights don’t end there, however; Le Castiglione claim to have once turned the Rolling Stones away. The ingredients of the burger’s overflowing secret sauce remain a mystery, but one that will delight the taste buds no end. 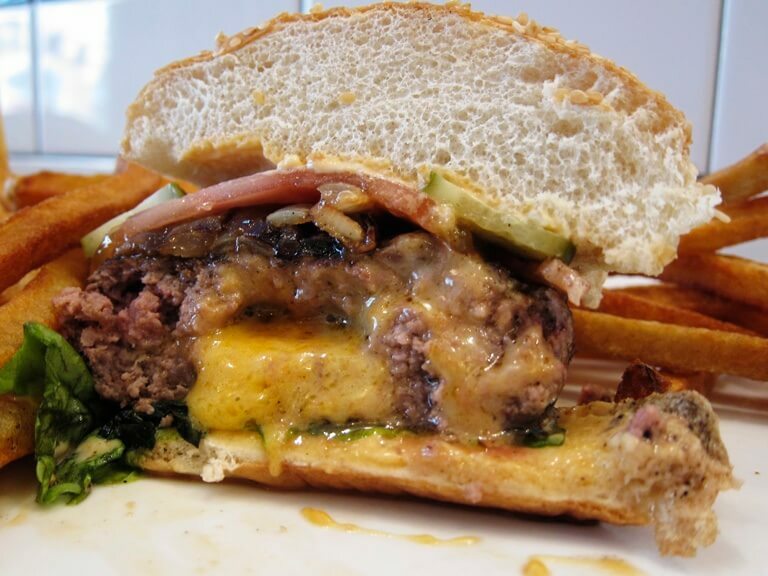 Whitman’s Juicy Lucy burger is a New York legend. Whitmans Restaurant – located in the heart of the East Village – serves up two thin beef patties pinched together around a scoop of pimento cheddar cheese. The result? A molten and oh-so delicious core of oozing cheese. 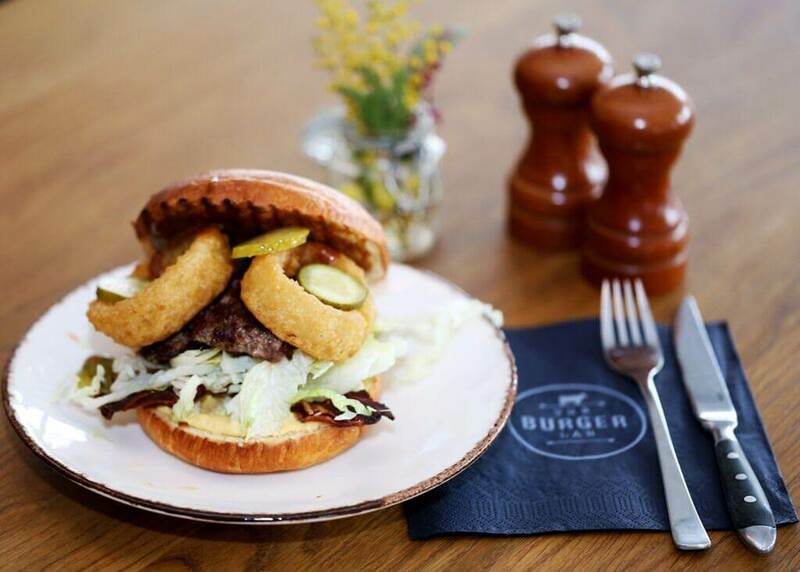 The beef short rib blend burger is paired with caramelised onion, spicy pickles and special sauce. Bleecker Street founder Zan Kaufman was working as a corporate lawyer in NYC when she strolled into an East Village burger joint and promptly tasted the best burger of she’d ever eaten. 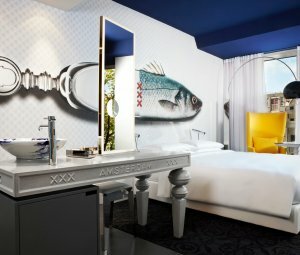 Cue: a complete career overhaul and the founding of Spitalfields hotspot Bleecker Street. 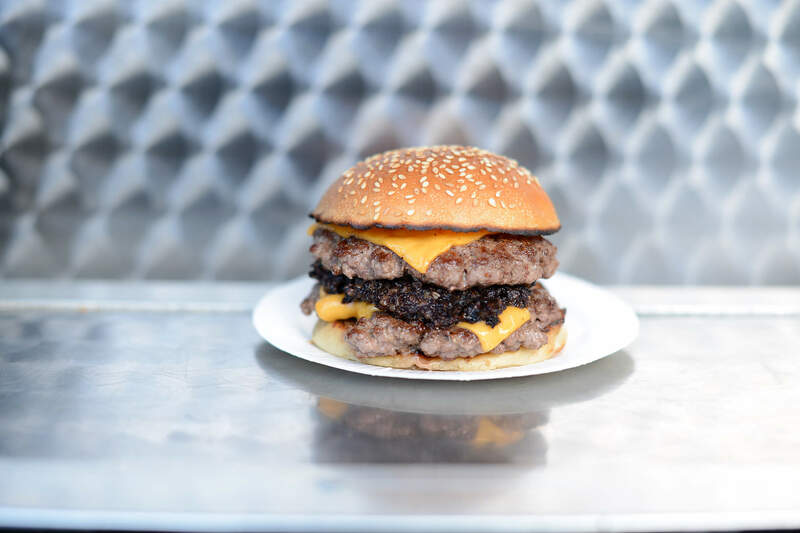 Clontakilty beef black pudding, Bleecker burger sauce, american cheese, and strips of white onion combine with beef and bun to form the Bleecker Black, arguably the best burger in London. Named after German writer Friedrich Schiller’s famous work, the Wallenstein Burger is, by any other name, a delicious chilli cheeseburger. Slavered in chilli-cheese salsa, jalapenos, red onion, cheese and mixed salad, the burger is enveloped by a fresh sesame bun, handmade every day at Schiller’s very own bakery. 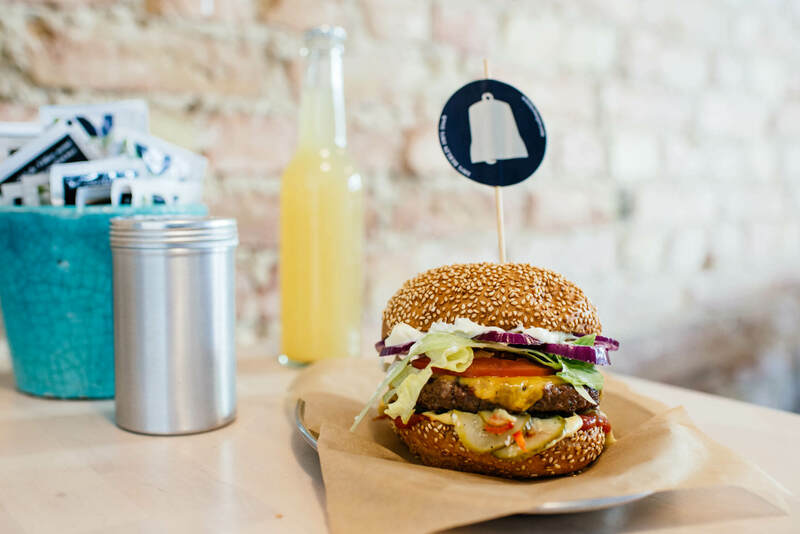 In über-trendy Sternschanze district, you’ll find The Burger Lab; Hamburg’s answer to all your burger-shaped prayers. 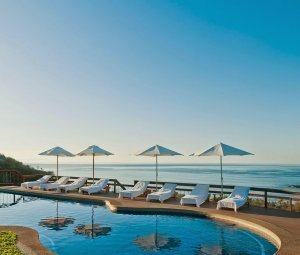 This place is a real hit with the locals, and understandably so. 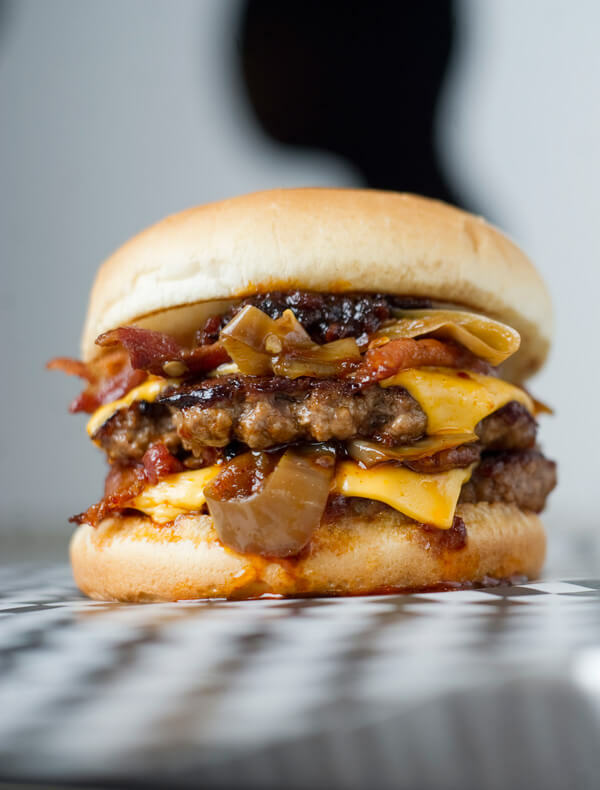 Their Bacon BBQ Burger – my personal favourite – is made with super delicious local beef, onion rings and Burger Lab’s signature Baconaise – an insanely good sauce of their own invention. Is there anything more meta than hamburgers in Hamburg? 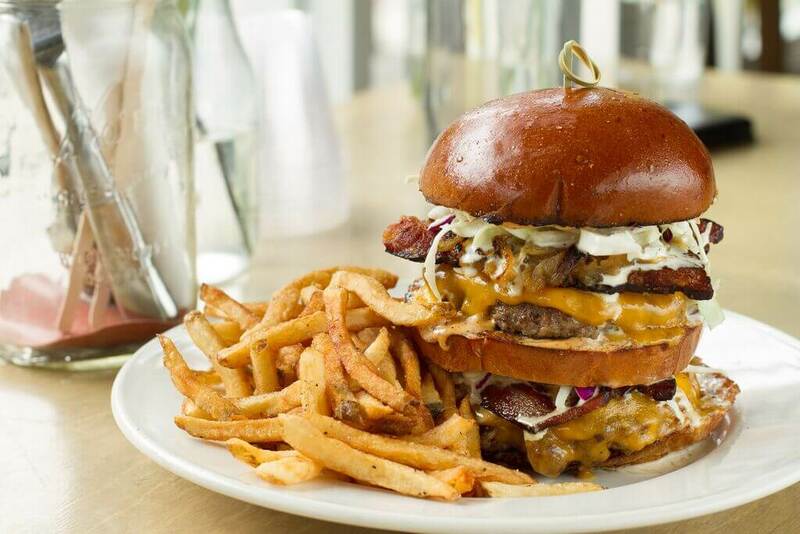 Venture into Ukrainian Village in Chicago and you’ll find The Lockdown, a self-professed Chicago oddity where you can watch live heavy metal whilst chomping on the best burgers in the city. The burgers are ominously titled Electric Chair, The Death Sentence and Arson; something which only adds to their allure. 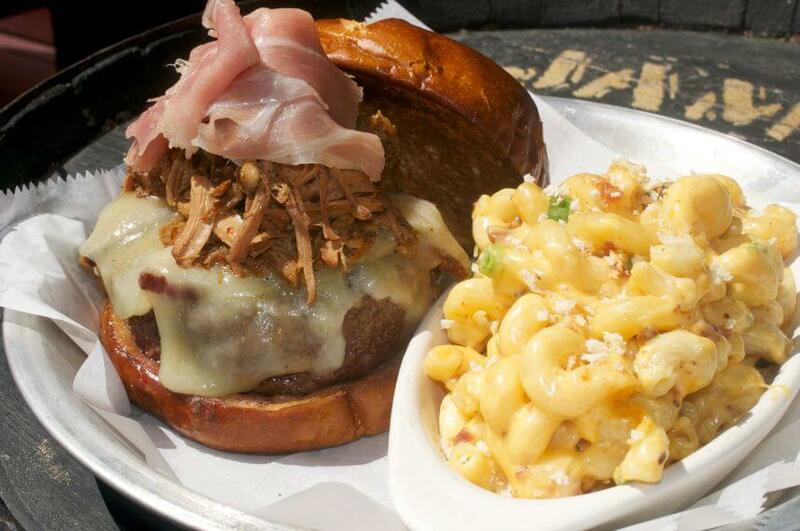 Cruelty to Animals is the best burger on the menu; adorned with braised pork, prosciutto, bacon and white cheddar. This is a real delight for the meat lovers of the world. 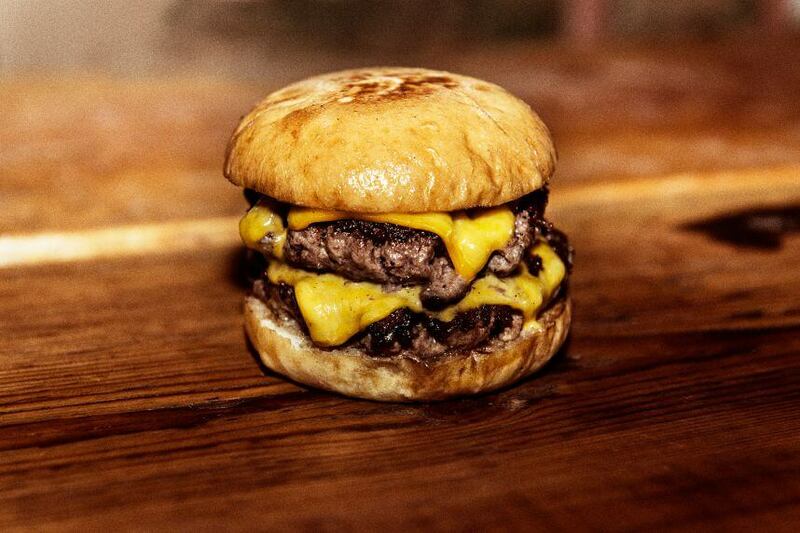 Simple and unpretentious, Flippin’ burgers are handmade from dry cured beef from small local producers. 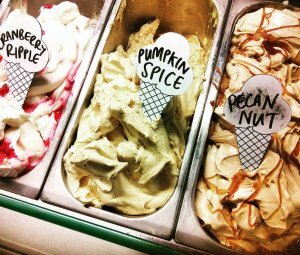 The organic buns are baked seven days a week in Magnus Johansson Bageri, one of the best bakeries in Sweden. 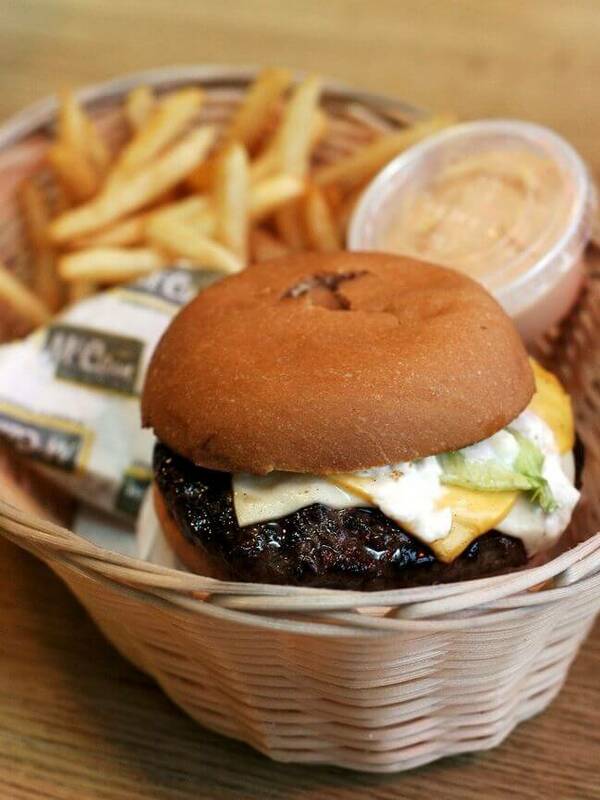 You won’t find lashings of toppings on your burger here, just quality ingredients that do all the work. Hamborgarabúllan is a curious place. Its walls are adorned with vintage Americana; from Johnny Cash posters to Blues Brothers posters, you’ll spot everything you might expect in a hip American burger joint…only you’re in Iceland. 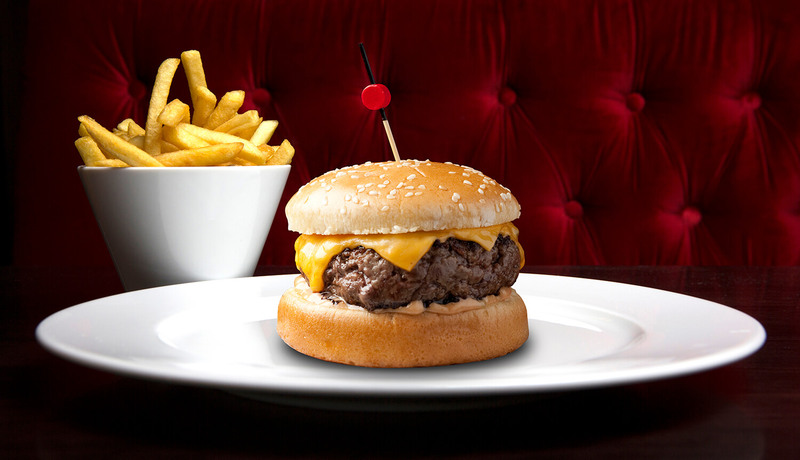 Go for the Offer of the Century, and you’ll get a burger, fries and a drink. 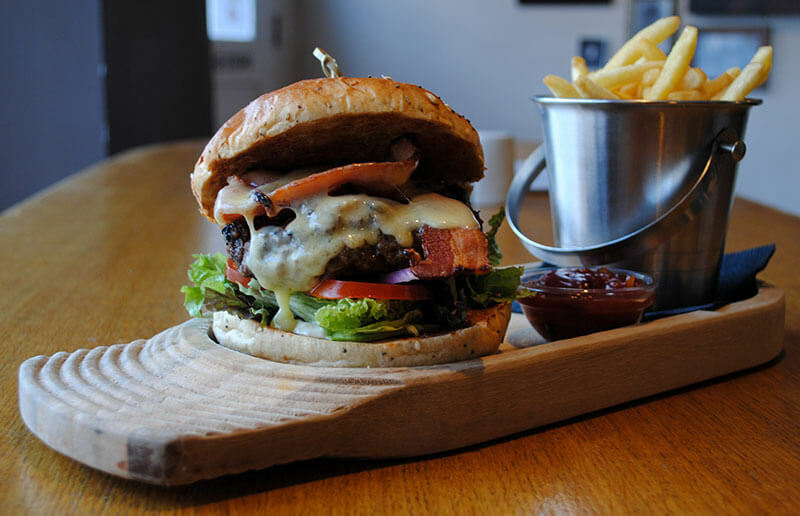 Their formula is simple yet delicious: a beef burger with bacon, lettuce, tomato and cheese that all melt in the mouth. Perfection. Colloquially known as Ferg’s, this 21-hour-a-day burger joint is a MAJOR hit with tourists and locals alike. On any given day, you’ll likely see an ever- burgeoning queue of hungry burger lovers out front. 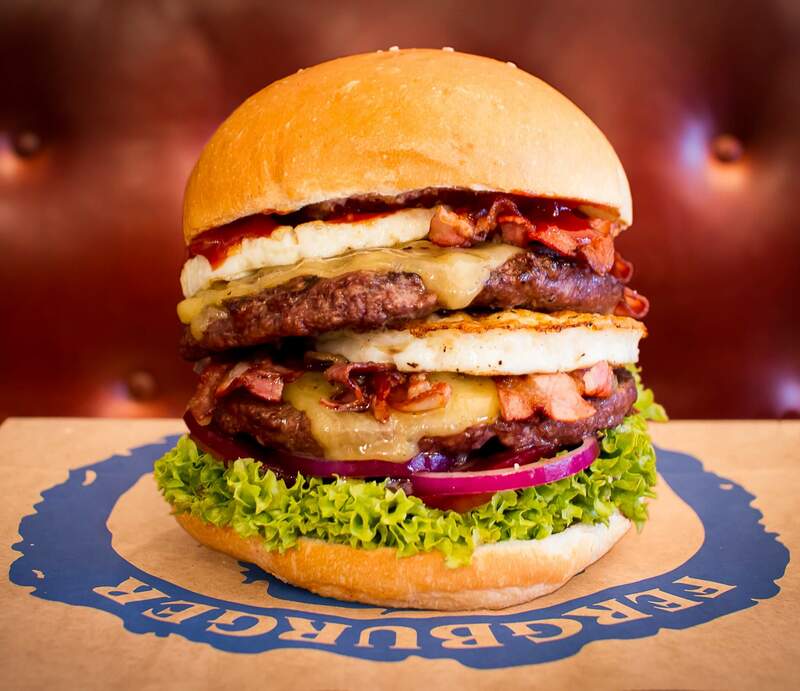 Big Al (pictured) is exactly what its name suggests; 1/2 lb of prime New Zealand beef topped with lashings of bacon, a whole lotta cheese, two eggs, beetroot, lettuce, tomato, red onion, relish and a big dollop of aioli.